News just in, Melbourne Museum will host the biggest exhibition made entirely out of LEGO bricks, opening 1 April, 2017. 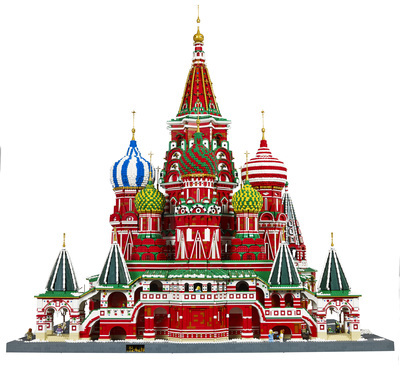 The 'Wonders of the World’ LEGO® exhibition has been built by the only LEGO® Certified Professional in the Southern Hemisphere, and one of only 14 in the world - Ryan ‘The Brickman’ McNaught. 'Wonders of the World' is a brand new interactive exhibition, exploring some of the world's most magnificent masterpieces. Enjoy more than 50 awe-inspiring and never-seen-before models on display, including a giant LEGO Arc de Triomphe, LEGO Empire State Building with King Kong, LEGO Big Ben, a LEGO Leaning Tower of Pisa and even a LEGO version of Michelangelo’s Statue of David. This carefully curated, brick-tactic exhibition, the largest LEGO® exhibition to ever come to Melbourne, will open just in time for the Easter school holidays; Saturday 1 April, and will run until Sunday 7 May, 2017. The ‘Wonders of the World’ LEGO® exhibition arrives in Melbourne following two successful stops in Brisbane and Sydney, and will head to Perth thereafter. The exhibition has taken Ryan McNaught a whopping 4,944 hours to build, and will no doubt impress not only little LEGO® fanatics, but the young-at-heart brick builders, too. This world-class exhibition won't be all 'look but don't touch', because visitors will enjoy interactive activities, such as building a statue of themselves, or have a go at building some LEGO® cars for the traffic jam around the Arc de Triomphe. “There’s so much to learn about and so many hands-on things to get involved with – hopefully all the budding builders in Melbourne are up for the challenge!” says Ryan. Be one of the first visitors to see Brickman 'Wonders of the World' at Melbourne Museum from 1 April until 7 May 2017. When: 1 April – 7 May 2017. Open daily.